Since its inception, Bridge of Hope has enabled many Kenyan children and young adults from poor families to access secondary and further education. Each student’s progress is closely monitored through local partnerships with the Coptic Church Fund and the Ummah Foundation in Nairobi. Each student is known to the Bridge of Hope representatives. In Kenya, Bridge of Hope provides access to education for those living in remote rural communities and urban deprived areas. More than 20 Bridge of Hope sponsored students have graduated from secondary school. We have also supported a few exceptional students through university; they are studying a range of subjects from medicine and nursing to social work, business studies and IT. Bridge of Hope encourages its sponsored students to go back and contribute in some way to their own communities. Bridge of Hope continues to sponsor students to attend nursing school in northern Kenya where health workers are in great demand. Bridge of Hope is proud that Collins Nakedi was the first student from his rural community in East Pokot to go to university. Bridge of Hope sponsored Collins to go to the American University in Nairobi where he studied Business Studies with IT and graduated with honours and went on to set up his own charity called “Hifadhi Africa” (Sustain Africa) which, in turn, is now sponsoring many secondary school students from his community. Collins has written a book called the “Leap of Hope” available on Amazon. Please help us to support more able young people so they can make a difference to their communities. My name is Collins, my parents had 14 children and I was the only child to have gone to school from my family. Thanks to the Bridge of Hope Foundation for believing in me, I became a student at United States International University-Africa in Nairobi. 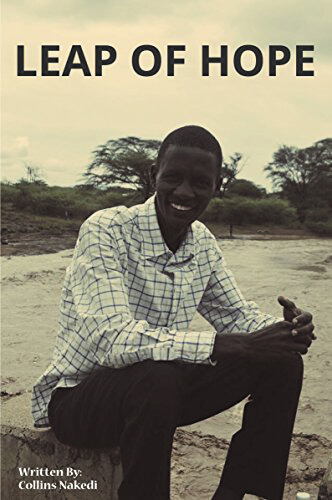 I came from a marginalized community in Kenya called Pokot. 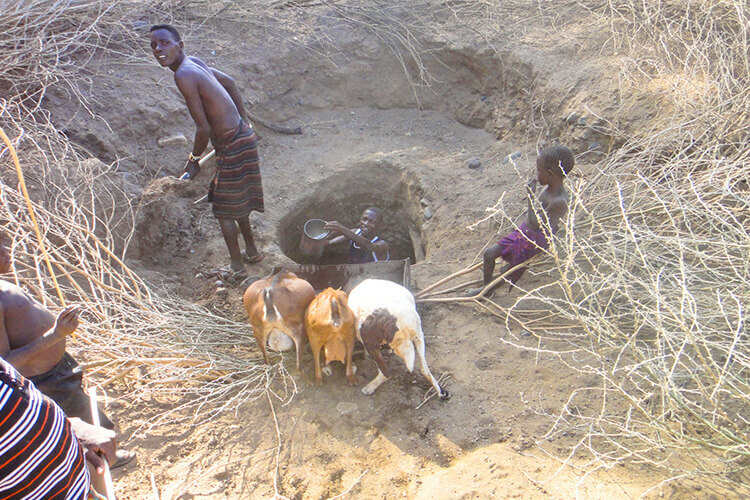 The Pokot are mainly subsistence farmers who depend largely on animal products for basic survival. 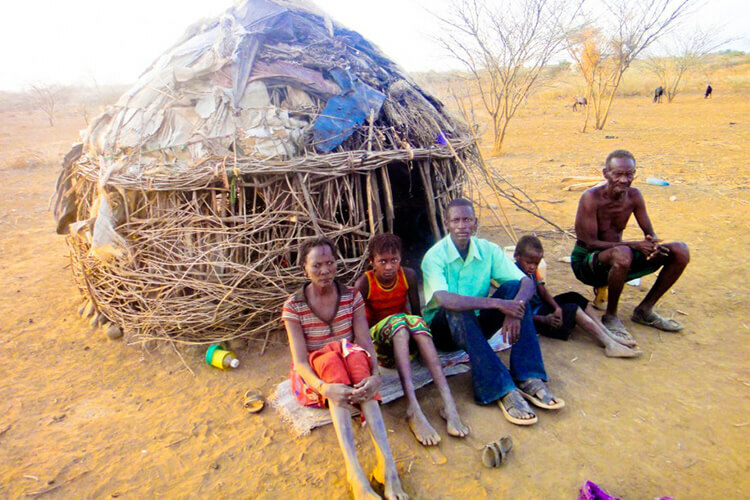 They occupy the drought-prone arid areas of North Rift Valley Province in Kenya. As a community, these circumstances have subjected us to immense poverty and poor living standards. Lack of food, water for people and pastures to feed these animals has constantly led to starvation and loss of lives. Many hopes have been shattered when schools in the region are closed due to lack of food and water to enable pupils to eat and stay in schools and accomplish education programs. In a society where the majority have been denied access to education by poverty and ignorance, my aspiration had always been to struggle against all odds to acquire knowledge and skills so that I could be a person of substance to my people and to the world. I wanted to be an eye opener and a role model whom other youths could identify with and strive to better their future. I organized several meetings with elders, youths and the local leaders and discussed ways forward as much as education in the community was concerned. Education is the only way one can change one’s destiny and the future of our community for good. It is the only bridge to our hopes and dreams as the youth who are the future of this society. By assisting me to resume my studies, Bridge of Hope Foundation had irrigated the seed of life in me. It relieved me from the burdens of daily struggles which had only futile results. Bridge of Hope returned me to the right course. It gave me a chance to refocus on my future, an opportunity to bring to life my diminishing hopes. I promised to cling to that chance and utilize to the expectation. When I finished my degree in Nairiobi I vowed I would work with organizations concerned with empowering under-developing countries or communities so that people would understand that sending their children to school is an investment and not a waste of time. Hence I set up an NGO called “Hifadhi Africa” meaning “Sustain Africa.” I had the privilege of getting selected from a pool of over 30,000 applicants for a place on the Mandela Washington Fellowship programme and travelling to the United States where I underwent through high level professional development experience and training at Arizona State University and Microsoft that culminated in a town hall summit with President Barack Obama in Washington D.C.
Collins at home in East Pokot with his family. I had placed my future in the hands of Bridge of Hope Foundation and they breathed hope and relief into my life at a time where I had already reached the end of believing in hope and did not know elsewhere to go or what to do. Because of my university degree I have a new life which I continue to use for good. Thank you Bridge of Hope Foundation for believing in me.